At the midway point of last year's preseason schedule, I made a somewhat foolish bet. My brother and I were talking about the Pistons and, feeling bullish after Andre Drummond's recent dominance, bet him a six pack that the Pistons would make the playoffs. I got 2-to-1 odds and felt pretty confident that Drummond would develop into the franchise center that could carry a team to the postseason, or at least pair with Greg Monroe to create a powerful front line. After an 0-8 start and a Drummond injury that cost the team its best player for 22 games, I owe my brother a six pack of his choosing (as yet unpaid) and some deserved groveling. Drummond's rookie year was what I imagine any 16th century world explorer's life might be like: desperately trying to convince everyone that he knows what the hell he's doing and occasionally being right. Drummond's body and brain weren't often in sync. Watching him struggle with his own powers on a nightly basis provided endless entertainment and moments of awe. One minute, he'll be tearing down impossible rebounds and the next taking 10-foot jump shots that fly laughable untrue. But then he broke his back and spent a bunch of time not playing the bongos on the sideline and now it's 2013. 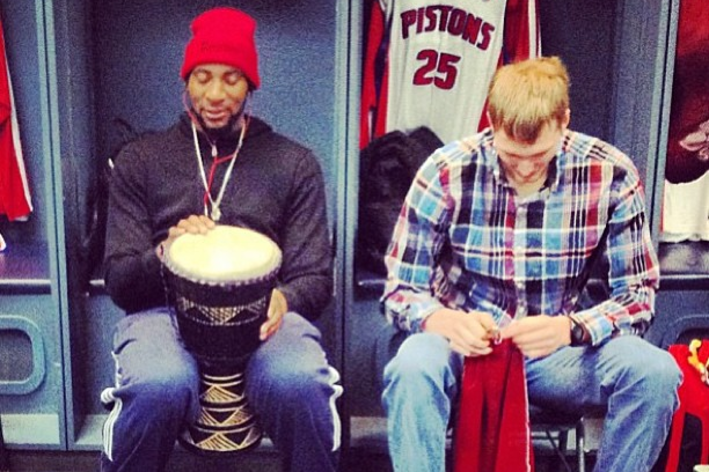 But the Pistons are more than Andre Drummond. They're Brandon Knight and his frustrating lack of consistency. 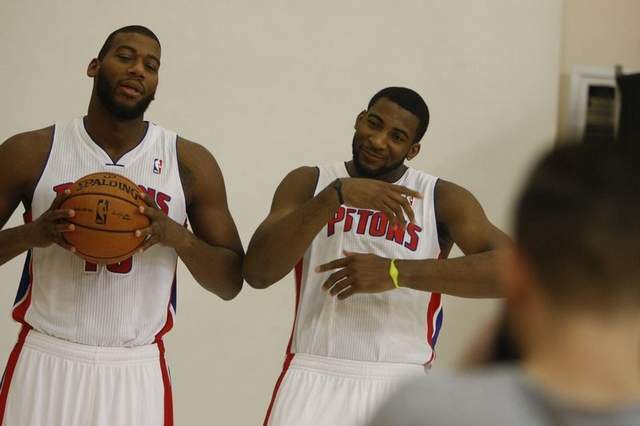 They're Greg Monroe and his unparalleled post moves, and corresponding inability to finish near the basket. They're Rodney Stuckey and Charlie Villanueva and Will Bynum and other underrated role players, and I really love watching this team of misfits stumble through wins and blow games in the fourth quarter. I even like Joe Dumars and will defend his abilities as a GM, which will likely come up again in the wake of tomorrow's Draft. You may be thinking to yourself, "Starting a Pistons blog after the NBA Finals and a day before the Draft is not the best timing", and you're probably right. For the last four years, I've written about Michigan athletics at Burgeoning Wolverine Star, which I'll continue to when the football season kicks into gear again, but during the offseason, my production there plummets to a trickle. BWS focuses on schematics, however, which are difficult for me to address during the offseason. The Pistons, on the other hand, need a champion, and I've spent plenty of time around these internets playing the part, not least of all because I genuinely believe in this team. So when the season rolls around, I'll likely spend time analyzing film, finding out why the Pistons are winning--or more likely, losing--and trying to rationalize a sport that is at its best when style outpaces the fundamentals. First, though, the Pistons can make significant moves shoring up their missing pieces tomorrow at the Draft. Because sooner rather than later, I'll have to give odds to those betting that the Pistons won't rumble into the playoffs with something to prove.